GMI® Hurricane Wedge® Storm Protection for Windows-SUPER SALE!!! 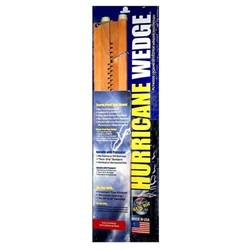 Secure & storm proof your home using GMI®’s Hurricane Wedge®. The GMI® Hurricane Wedge® was tested by the University of New Orleans, Department of Civil and Environmental Engineering to assist in providing adequate protection to a Class 2 Hurricane. It can be simply installed with no hardware or tools required. 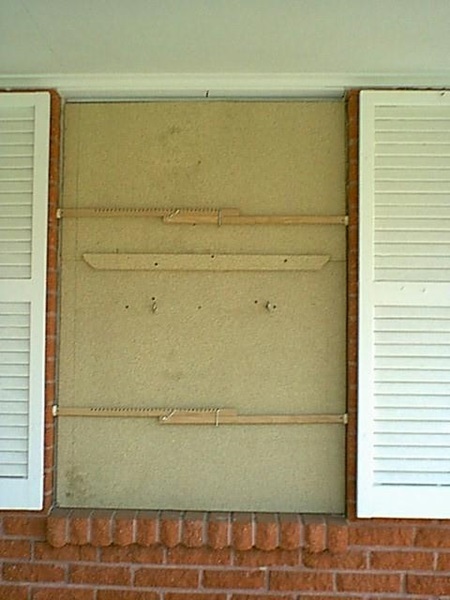 It Installs with pressure to keep your plywood securely in your window. You can use any thickness of plywood with the GMI® Hurricane Wedge®. It includes rubber bumpers on the ends to hold the pressure bar securely in the window. It locks into place with a deep notched pressure bar and steel swivel lock wire. 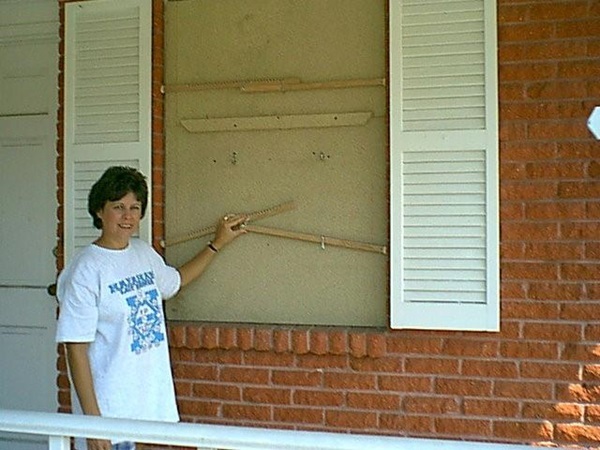 The GMI® Hurricane Wedge® holds your plywood sheets securely in place during a Class 2 Hurricane (typical post-landfall wind speeds) protecting your windows and your belongings inside your home or business. It can be used vertically, horizontally or diagonally and fits windows with dimensions between 26" and 42". Package contains 2 Hurricane Wedges®. Recommended quantity for average house is at least 16 packages. (Enough to cover 16 windows).